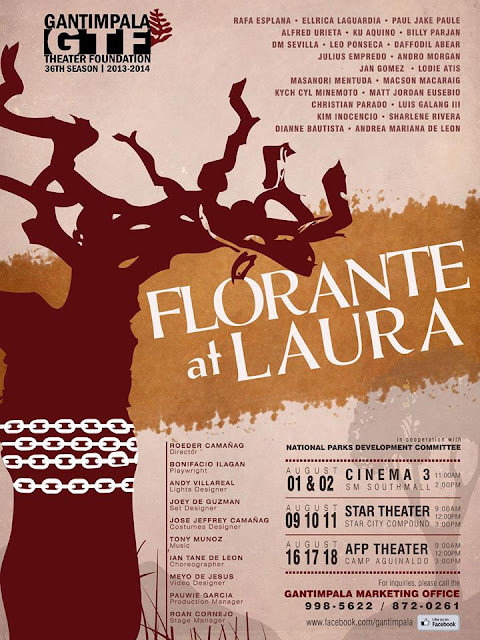 Gantimpala Theater opens its thirty-sixth (36th) season with Francisco Balagtas’ Florante at Laura, the Filipino literary masterpiece considered by many as poetic art that examines the nature of justice, truth and commitment to fairness, made into a theater production by award-winning and respected playwright Bonifacio Ilagan, with director Roeder Camañag presenting it as a komedya. “We are presenting it as a komedya as well. We are continuing to honor the artistic legacy of our late artistic director Tony Espejo who believed that the komedya was the theater form during the time of Balagtas and it was not only fitting, but best to present the play making use of this endemic Filipino theater form,” explains Camañag. 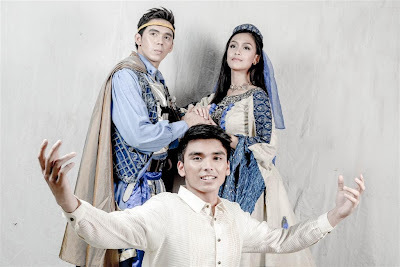 Alternately acting as Florante are Rafa Esplana and Paul Jake Paule with Ellrica Laguardia as Laura, Florante’s sweetheart. 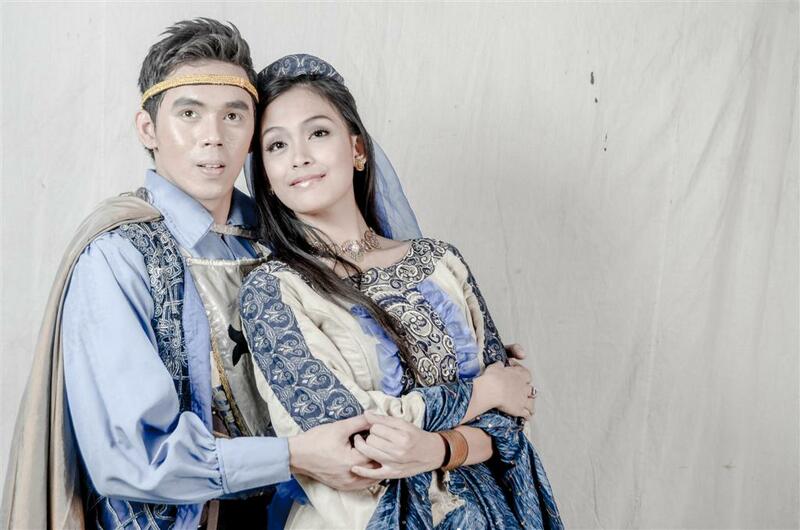 Actors’ Company members portray major roles – Alfred Urieta as the antagonist and Daffodil Abear is the Moor princess Flerida. Giving life to the other major characters are Ku Aquino (Haring Linceo), Billy Parjan (Duke Briseo), Lodie Atis (Reyna Floresca), Mark Cayabyab (Menandro), Jan Gomez (Antenor), Kych Cyl Minemoto (Batang Florante), Masanori Mentuda (Batang Adolfo), Macson Anthony Macaraig (Makata/Tagapagsalaysay), Andro Morgan (Sultan Ali- Adab/Osmalik), Julius Empredo (Miramolin) and Leo Ponseca as Aladin, the Moor Prince. Artistically assisting Camañag to realize the warring world of Moors and Christians are Andy Villareal (Lights Designer), Joey de Guzman ( Set Designer), Jose Jeffrey Camañag (Costumes Designer), Tony Munoz (Music), Ian De Leon (Choreographer), Meyo de Jesus (Video Designer), Pauwie Garcia (Production Manager), and Roan Cornejo (Stage Manager). Performances are on August 2, (9am.12nn/3pm), SM Southmall Cinema 3, Las Piñas City, August 9 and 10 (10am/2pm), Star Theater, Star City, Pasay City and August 16 and 17 (10am/2pm), AFP Theater, Camp Aguinaldo, Quezon City. For tickets, please call the Gantimpala Marketing Office at (632) 899-5911/ 899-5745/ 998-5622.